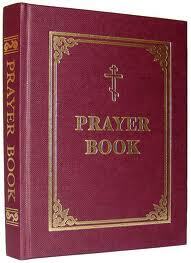 The Original Jordanville Prayer Book is now o/p. A new edition is being planned for publication at the end of 2015. In the meantime we can provide copies of the Prayer Book from a previous print run which contain just one mistake where page 344 was printed twice with no page 343. These otherwise perfect condition reject copies, with the text of page 343 pasted in, are offered for sale to plug the gap until the NEW edition of the Prayer Book is completed. Do take advantage of this unique offer. The Emporium is the SGOIS annual catalogue and literary review.